Our goal is to provide opportunities for believers to serve the Lord in a short-term, cross-cultural mission setting with the Oglala Lakota on the Pine Ridge Indian Reservation in southwestern South Dakota. We serve with the body of believers at the Pine Ridge Gospel Fellowship. Our main objective is to organize a one-week Vacation Bible School for kids 5-17 years old at the Pine Ridge Gospel Fellowship church, where we teach 100 to 150 children. We also perform handyman jobs (previous projects have included roofing, painting, plumbing and cutting firewood), participate in evangelistic outreach ministries and have lots of fun developing strong bonds of fellowship. From DC we fly to Rapid City, SD and then travel by car approximately 100 miles southeast to the village of Pine Ridge. We stay on the Pine Ridge Gospel Fellowship church compound. The total cost of the trip includes airfare, car rental, teaching supplies, craft materials, all meals (prepared and eaten in the church), Love Offering, handyman project supplies, and whatever else we need while we're on mission. The Oglala Lakota are one of seven culturally-related nomadic Sioux tribes that make up the Teton Sioux people. They roamed across the Great Plains, following the buffalo herds integral to their livelihood, until they were subdued by the US Army in the late 1800s. They are a people who are very proud of their history and heritage. The Pine Ridge compound is the second largest Native American reservation in the United States. Pine Ridge is also, unfortunately, one of the most poverty-stricken areas in the United States. Shannon County, located entirely within the reservation, has one of the lowest per capita incomes in America. Individual household income averages around $6,000 annually and in almost one-third of Pine Ridge households no one has a job. Unemployment rates hover at 80%, according to tribal government figures. 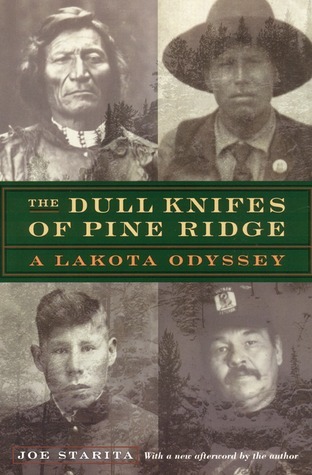 Notable Oglala Lakota leaders of the late 1800s are Crazy Horse, Red Cloud and Big Foot. Events most frequently associated with the Oglala Lakota are military engagements — the Battle of Little Big Horn, where General Custer and his 7th Cavalry were virtually annihilated, and Wounded Knee, where over 300 Indian men, women and children were massacred by the 7th Cavalry.